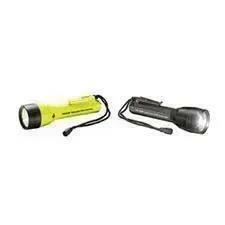 Similar to the SabreLite™ 2010 LED Flashlight, but with a voltage regulated LED that extends peak brightness. Recoil LED™ Technology results in a true collimated beam that cuts through thick smoke, fog, and dust. It is powered by 3 C alkaline cells.